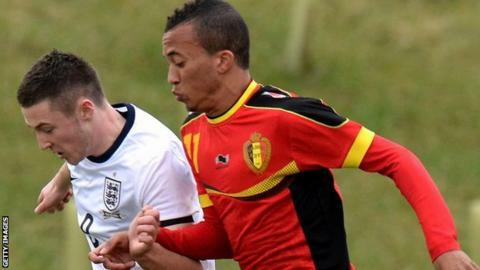 Everton have signed Belgian striker David Henen on a season-long loan. The 18-year-old was transferred from Anderlecht to Greek side Olympiakos on Monday. However, after a recent spell training with the Toffees, boss Roberto Martinez struck a deal to bring the youth international to Goodison Park. "He's someone whose potential we recognise and at this stage he will go into the Under-21 development squad," said Martinez.